Luke Kim is the son of small business owners, and he witnessed firsthand the struggles many face while managing and growing a business. This experience fueled his interest in pursuing business and marketing at California State University – Long Beach, and informs how he connects and consults with business owners today. At Broadly, Luke is a Senior Account Executive and Team Lead with deep experience across all types of industries. 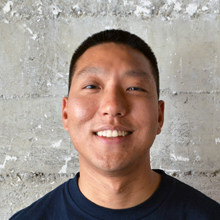 He is based in Southern California, leading Broadly’s Costa Mesa office, and enjoys working out, card games, and reading in his spare time.